Where Does Your Planner Start? In part one of the Creating the Planner that Works for You series, I asked you take some time to consider all the ways planners have NOT worked for you in the past. What was it about them that didn’t fit your needs? What parts of them did you never use? And on the flip side, what did work for you? Was there a part or a page or layout that spoke to you. Thinking about those things is step one, because when it comes to creating a planner that works for us, we don’t want to include those items that didn’t work, and we most definitely want to focus on what did work. Today, we’re going to look at how to decide where to start. The new year is almost here, and I know everyone is eager to get their planner started, so lets just jump on in shall we? A planner is simply a tool or system used to help you keep track of important dates and appointments, build or maintain routines, and make the best use of your time and energy. Now it’s time to figure out where to start. Just as with any other system we use to organize our homes, work, and lives, a planner needs a good foundation to grow from. The best place to start is to ask yourself what you’re going to be using your planner for. The planner that works for us is one that will meet all our planning needs, so know what we need to use it for is crucial to finding the right one. Do you have to keep track of various meetings and appointments throughout the week? Are your days full of things that need to be slotted into different times? 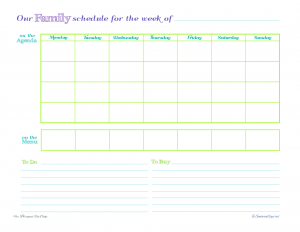 Are you a Mom who needs to keep track of your children’s sports practices and piano lessons? Maybe you need something you can use to not just plan your days or weeks, but that will also serve as a food diary, fitness tracker and meal planner? Take a few minutes to jot down your answer to what you need your planner to keep track of. When we combine this list with the list of things that didn’t work and the list of things that did, we get a pretty good idea of what direction we need to move in. What Should Your Planner Start With? A monthly calendar lets us see what we have going on all month long, and for many people, this is all the planner they need. Personally, I use three calendars. Yes, you read that right. I use my 2 page per month calendars in both my planners. My small Arc Junior is what I consider to be my personal planner. The calendar I keep in there is my portable copy of our family calendar, and I like having that with me when I’m on the go. It allows me to easily make plans with friends, make sure that if I’m making appointments I’m not double booking myself, and just generally ensures that I don’t forget something. My large full size Arc book is where I plan out everything for the blog. I use the calendar as my editorial calendar to plan what to post, as well as keeping track of deadlines and other important things I need to do each month. The final calendar I use is our family calendar. Now that we have a foundation, we need to figure out what else we need in our planners. How do we figure that out? Well, first take a look at the list you made at the beginning of this post. What do you need to use your planner for? 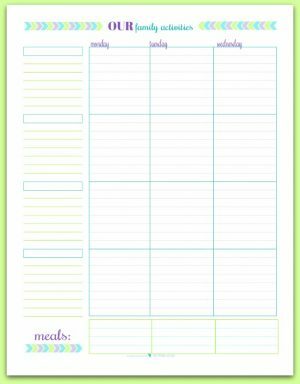 If you already know that you have consistently busy weeks, then chances are you are going to need a weekly planner or weekly planner printables to go along with your monthly calendar. 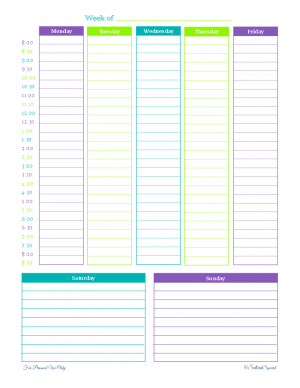 If you have consistently busy days with tons going on, or a lot of things you need to remember or stay on top of, then you might want to consider a daily planner page. If you’re not sure, this exercise might help. 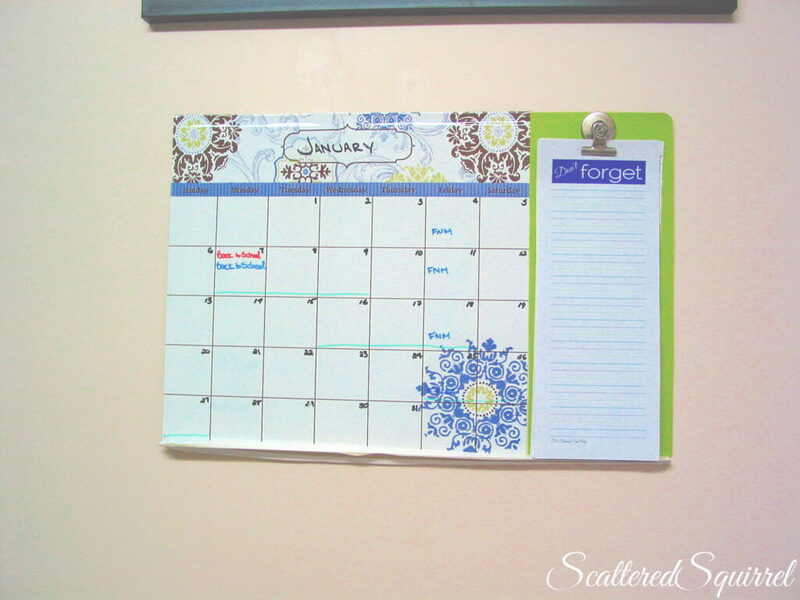 Print off a copy of the blank monthly calendar above. Grab the list of what you need your planner for, and think about a typical week looks like for you. Starting on the first Sunday write down what a typical week looks like for you. Don’t worry about fitting everything for one day into one box, use the whole column if you need to. Remember this is a typical week for you. If you need more room than one calendar box affords, then chances are you could benefit from a weekly calendar. 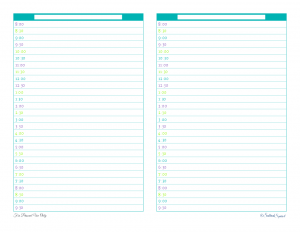 If you used the whole column or almost the whole column, you might want to look into a 2 page per week or even a daily planner. 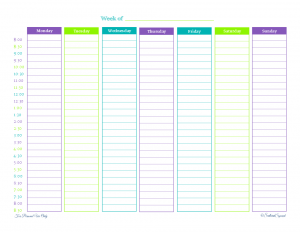 If your typical week fits neatly into one weekly row then maybe you only really need a monthly calendar, depending on what else you want to keep track of. Maybe your typical week fit neatly into one row, but you know that there are more things you need to plan for each week. Maybe you pair that one with a weekly to do list, or perhaps even a daily to do list. You may not need to plan out your whole week, but you do want to be able to stay on top of all your tasks. 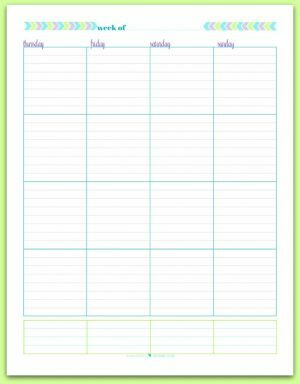 If you’re building your own planner you can always print a few weekly or daily planner pages to keep on hand for those inevitable times when life gets crazy. 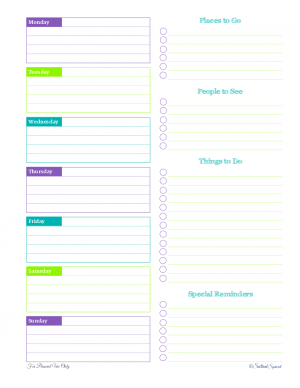 In search of the right weekly planner for myself I’ve created and shared many version here on the blog. Just check out the gallery below. 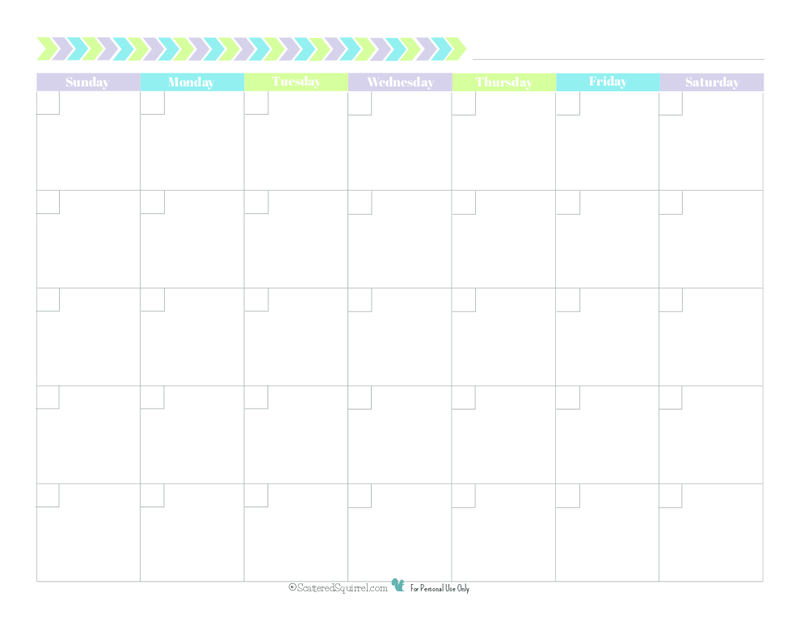 Or, if you think your weeks are too busy for a weekly planner, maybe a daily planner page would work for you? Print out a week’s worth of them and give them a try. See if you really do need them and use them. If they don’t work, you’re out a little bit of time, some paper and ink. At least you didn’t go buy a whole planner that is just going to be collecting dust or worse, frustrating you because it doesn’t work how you need it to. I don’t have as many daily pages but the ones I do have you can see in the gallery below. 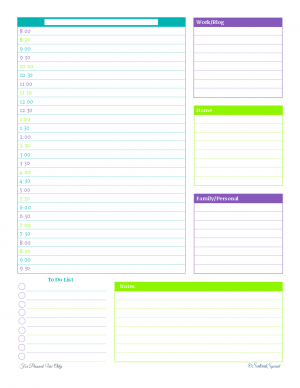 Print out some weekly or daily planner pages, only enough for a week or two and take them for a test run. 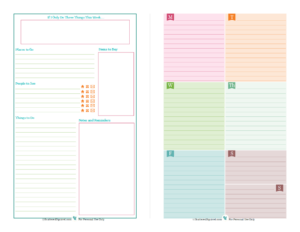 Next time we’ll talk a bit about thinking outside the planner box, and I’ll be giving you a peak at my current planner system, and I’ll share what is and isn’t working. But for right now, have some fun playing around with different options. And please don’t feel like you have to just use what I have available, there are MILLIONS of planner printables out there that you could try. Spend a little time surfing the web, or hop down to the bottom and check out my Planner board on Pinterest. Do you have any questions or something to add to the conversation? I’d love to hear from you! Follow Scattered Squirrel’s board Planners on Pinterest. Previous Post: « Merry Christmas to All! You always have the best ways of explaining things. I think I am figuring out why some planners didn’t do it for me and just what I need now. Thanks! Sharing . . . I hope you have a wonderful and amazing year! Oh my goodness I think that daily to do list is just what I need to go along with my monthly calendar! I am so glad you are writing this series because I really want to be more organised this year and now I’m discovering the tools to help me do it! I hope the daily to do list fits the bill for you. I find it helpful on those days where I have a lot going on. I wish you all the best on your goal to being more organized. And I hope that 2015 brings you wonderful and amazing things. Oh I love hearing that others like the printables. I’m thrilled that they are working for you. You are so very welcome I hope you enjoy them and that help you plan your months with ease. Are you able to make the portrait style weekly planner (Weekly 1) in black/white? 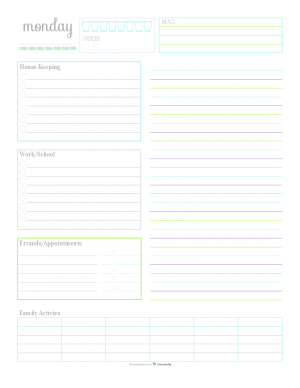 Yours is the perfect planning page, but I need to be able to print it on colored paper. If so, can you please email it to me at desertmommy203ATgmail.com? thanks! This is great for newbie planners. I’m going to start sending some of my readers to Scattered Squirrel when they have questions! 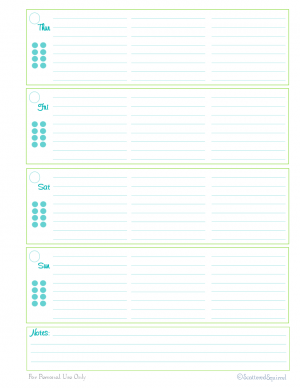 Hi Alisha, I have a couple of printables for cleaning schedules on the Home Management page. If you hover your mouse over the Printables button on the top menu bar a drop menu will appear. 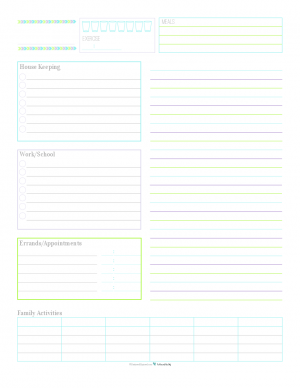 Click Home Management and it will take you to the Home Management printable page and you can check out the cleaning printables there. Every home and each family is different and there is no one right list for everyone, but maybe one of the cleaning schedules will give you a starting point. Hi Marilyn, I totally understand not wanting to put your to-do list in your weekly and monthly pages, I’m the same way. You could put anything in your daily spot – if you have a set routine for housework you could put that in there, or maybe plan your extra stuff for the week, like hobbies or shopping trips. I know a lot of people use the extra space to make notes about how their days went, sort of like a planner and journal combo. There is no rule that says you have to put anything on it, other than what you do. I write my daily routine out each day, it helps me sort of stay on top of everything. My detailed to-do list is kept in another planner. It sounds like a lot, but the one helps me structure my days the other helps me decide how I’m going to use the time. I don’t know if any of this was a help or not. This is one the best and most comprehensive planners that I’ve ever seen! I’m so scatter-brained that I keep losing track of my daily responsibilities and to do’s. I’ll definitely bookamrk this. Thanks Alli! You’re very welcome Rosen. 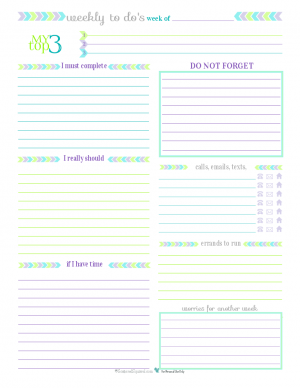 I hope you find some of the printables to be helpful for you. Hi Mary. The best binder or planner is the one that will work best for you. The planners in the picture are both Arc Notebooks from Staples. They are disc bound, so you’ll need a special punch to be able to put the printables in them. There are a number of options for punches now. Staples has one that is a little pricey, however I’ve had mine for over 5 years now and it still punches just as good as the day I bought it. Happy Planner also has a punch that will work. It’s a little cheaper. I’ve heard really good things about that one. Levenger also has a variety of different punches that will work as well. Other options for binders are to use a three ring binder, if that works better for you or just to get you started. 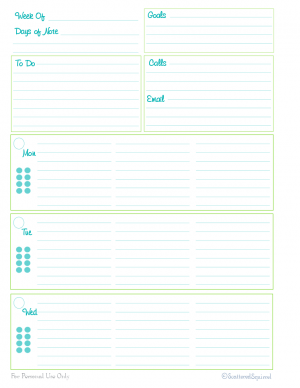 The half-size printables will fit most A5 planners as well mini binders like the ones Avery sells. Most A5 ring planners are 6 ring binders, so again you’ll need a punch for those. I have the Recollection 6 hole punch for mine and it’s been working really well for me, though there are other options available on Amazon that might be cheaper. If you really like the disc bound options, the disc bound punches will work for half-size as well as full size.